Why am I such an idiot? Trying to get the 12V DC coming out of MAIDEN Le Down to 5V, 0.125A. 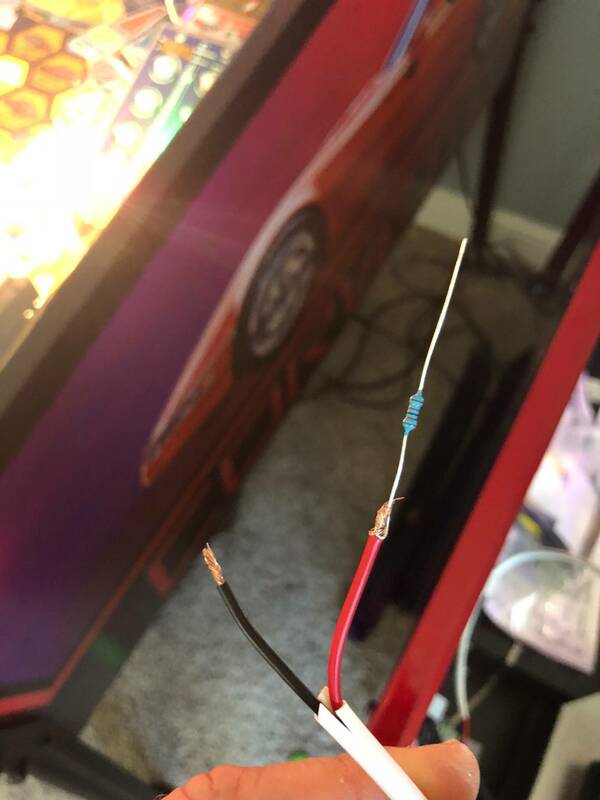 Attached a resistor in-line to the 12v line and I can’t get any voltage drop when using my DMM on the non connected side of the resistor. What the hell am I doing wrong? I’m sure I’m misunderstanding something basic. Appreciate any help you can provide. The obvious first step is connect it to the other lead, then test again. Electrons have a negative charge. Electricity is electrons flowing. They flow from negative to positive. Where are you putting the two DMM leads? One on the end of the resistor, the other on the black wire? Was putting the red lead on free end of resistor and black lead on the black wire. I’m attaching a pic of the resistors I’m using. 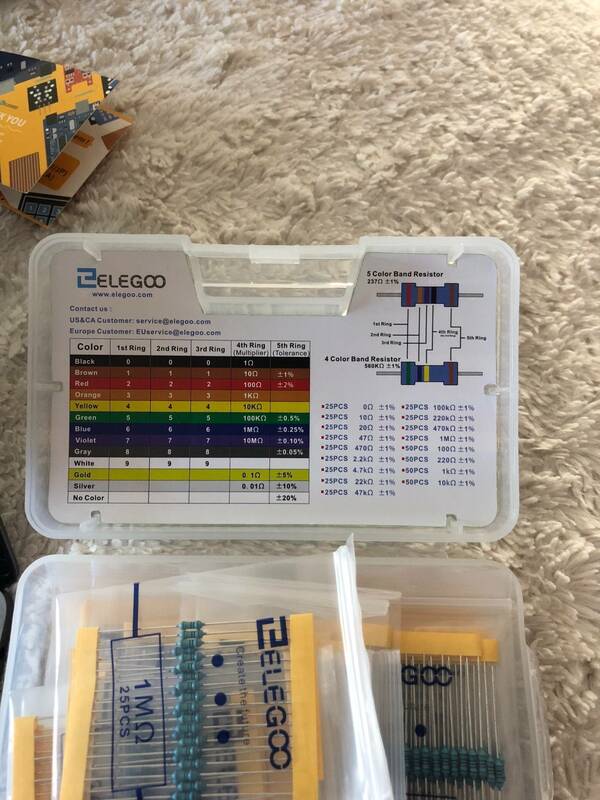 How do I know wattage? You won't see a voltage drop doing that. Look up "voltage divider circuit". 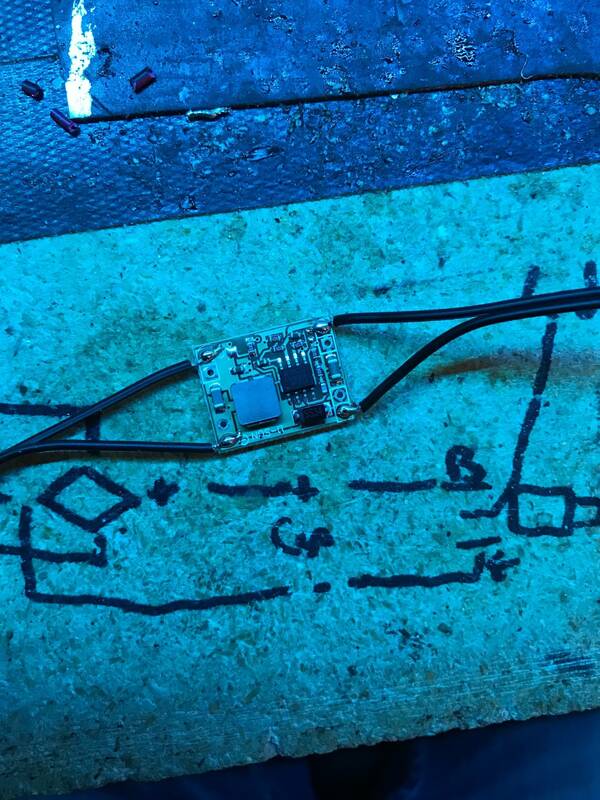 There is no current flowing through the resistor, so there will be no voltage drop. V=IR. It's the law! Thanks guys. So, is this the complete wrong approach to dropping voltage from 12v to supply an LED needing 5v, 0.125A? How can I do that? To answer your last question: There are several approaches to do this...yours is one way, not terribly efficient, but can work with the right components. The first main answer lists 5, it is a good list. Depending on what you what to power, you may be able to get away with the series resistor. I'm sure other posters here have examples of how they did this for their mods. Appreciate this reply but this is like looking at heiroglyhiscs to me. Lol. I need more “hey dummy, take this resistor solder this end to this wire...”. Thanks very much. This makes sense. Really appreciate all the replies guys! I have one all made up for you if you like. Sent PM. As others mentioned - the method was wrong. You need a complete voltage divider circuit. 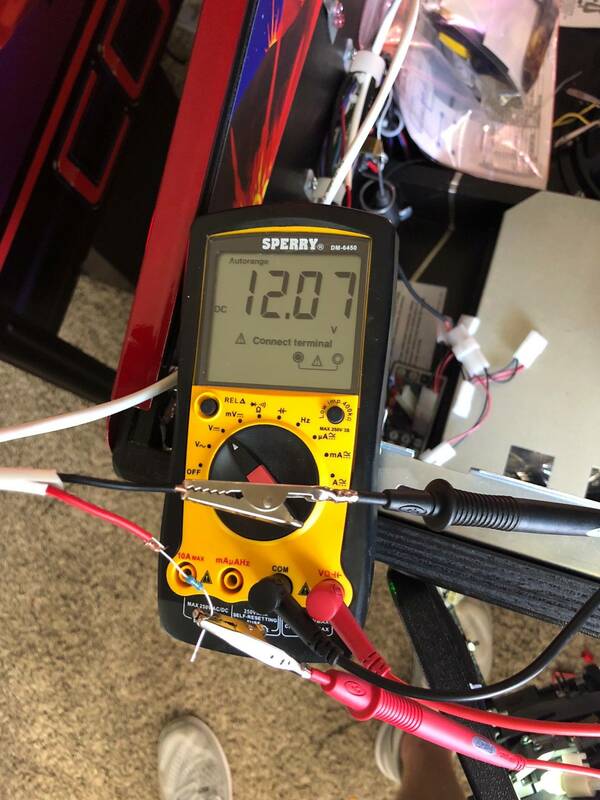 An accurate and consistent voltage divider is difficult to built for most applications as the load current tends to vary... which changes the voltage drop across the resistor. Another downside to this method. You state that you want to go from 12V to 5V with a load current of 0.125A. 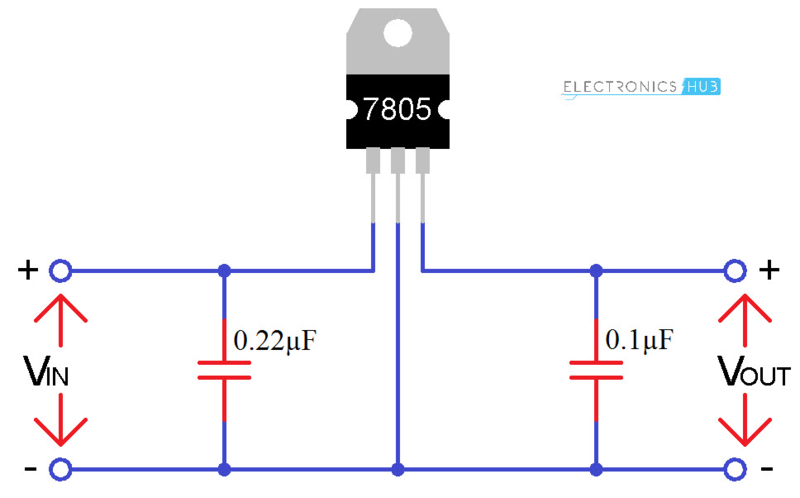 If going with resistors configured as a voltage divider - the resistor needs to drop 7 volts across it. If you pick the right resistance values then you have a second problem. A resistor dropping 7 volts across it and conducting 0.125 amps means the resistor is dissipating 7 * 0.125 = 0.875 watts. 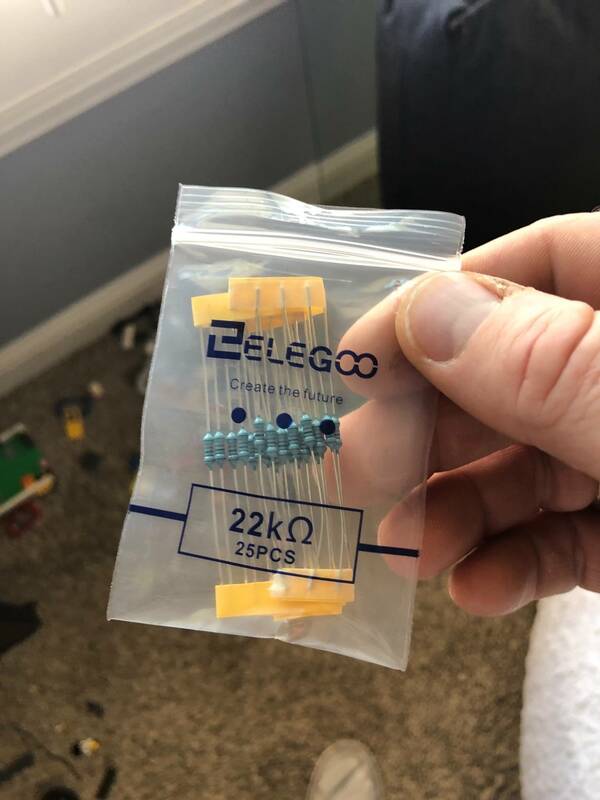 The resistors you show appear to be 0.25W resistors - these would pretty much turn into little space heaters for a brief period of time. The easiest and highly reliable method would be as BarakandI listed above - just use a simple 7805 regulator. 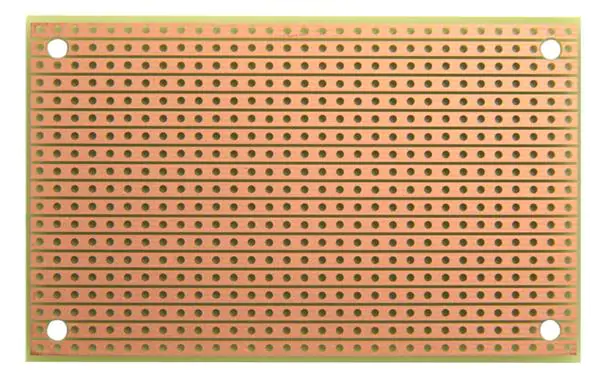 A small heatsink should be used such as a Aavid 507302. For this simple of a circuit, you can easily just mount it on a terminal strip such as the one shown below. Or you could go with a cool running pre-built switcher such as suggested by Rock914 or setzkor. I think a thing called a buck converter will do this also for a few bucks. USB supplies 5v and phone adaptors are readily available. Plug one into your service outlet. Use an adapter with output appropriate for your use case. Most will handle a one amp load, many up to two. Splice the USB power wires to your mod.